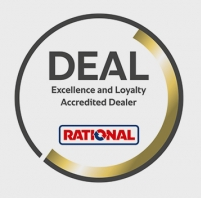 As certified Rational Dealers, our qualified experts are on hand whether you’re looking for a Rational oven consultation, an in depth and detailed cooking demonstration, seminar or demo unit. We handle everything from the installation to providing technical advice and maintenance assistance to make sure you and your team get the best from your SelfCookingCentre®. 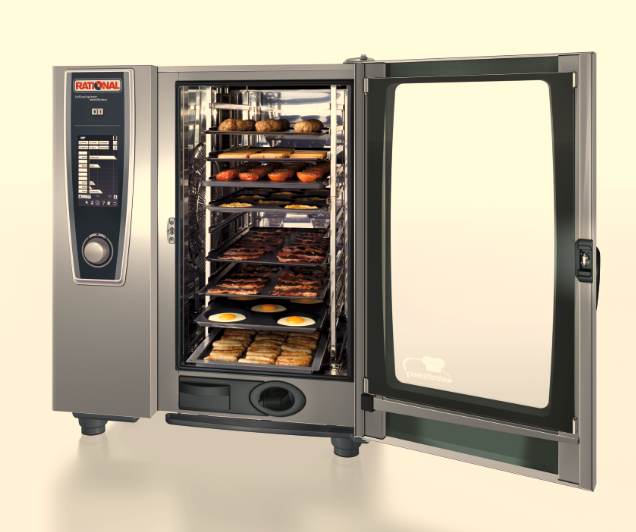 A Rational oven offers any kitchen a money and energy-saving solution to both cooking and cleaning – all in the remarkably compact space of less than 1m2. With the ability to poach, steam, blanch or stew, grill, roast or bake anything from meat, eggs and fish to desserts and vegetables, you are sure to be able to easily tackle even the busiest of services. iCookingControl®; cooking each meal just as you intended time and time again, detecting the status, size and quantity of the product. HiDensityControl®; which uses highly sensitive internal sensors to monitor the status of the product every second, altering the energy levels, evenly distributing heat throughout, automatically adapting the moisture and cooking time settings. The SelfCookingCentre® also monitors the food’s browning and even prevents the need for the turning of pan-fried meals. iLevelControl; identifying which foods can be cooked together, helping to make meal preparation that bit more efficient. Inbuilt Efficient CareControl; an automatic cleaning system, detecting any dirt or limescale in the SelfCookingCentre®, cleansing the inside of the cabinet. 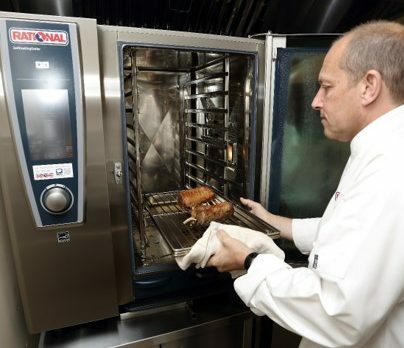 The efficient nature of the Rational oven not only offers your kitchen a fantastic time-saving tool, but also provides your food with the degree of accuracy and attentiveness that can be a challenge in a busy kitchen environment. With our team of qualified experts on hand to assist you with everything from installation to technical advice and maintenance, you can have complete peace of mind in your SelfCookingCentre®. So, if you would like to speak to one of our team for a consultation, or to enquire further, why not get in touch today on 01772 654402, and one of our certified Rational specialists will be happy to help.